The Maximum Common Subgraph (MCS) problem appears in many guises and in a wide variety of applications. The usual goal is to take as inputs two graphs, of order m and n, respectively, and find the largest induced subgraph contained in both of them. MCS is frequently solved by reduction to the problem of finding a maximum clique in the order mn association graph, which is a particular form of product graph built from the inputs. In this paper a new algorithm, termed “clique branching,” is proposed that exploits a special structure inherent in the association graph. This structure contains a large number of naturally-ordered cliques that are present in the association graph’s complement. 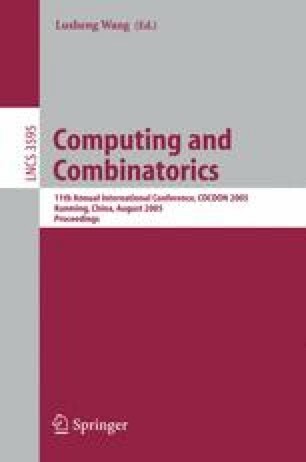 A detailed analysis shows that the proposed algorithm requires O((m+1) n ) time, which is a superior worst-case bound to those known for previously-analyzed algorithms in the setting of the MCS problem.